A dollar saved is a dollar earned… so how much extra money could you earn for yourself by not spending for a month? Just think of what you could do with all that extra cash – pay off debt, achieve your savings goals for a vacation or large ticket item, build up your emergency savings, the list goes on. I know what you’re thinking: that’s impossible. But I’m talking about discretionary spending here – of course you will still have to pay your bills, but the goal is to not go shopping and to purchase as little as physically possible for the month. No buying clothes, toys, entertainment, dining out, and as much as possible, food. Try to use all of the food in your fridge, pantry and freezer, and make do with the other stuff in your life for a month. You will probably be flabbergasted as to how much money you will save. That is the very exciting and rewarding part of doing a No Spend Month. The hard part is discipline. So before you begin your no spending month, be prepared and set yourself some rules and means of accountability. You could put away your debit and credit cards for the month in a safe and secure place, and then give your household a cash envelope with a predetermined amount to use for necessities only. Decide how much that amount should be and what is considered a necessity, and write all of those on the envelope. Then you have to make that last until the end of the month. known expenses for that month such as gifts, fees due, etc. Things will pop up enticing you to spend – your kid is invited to a birthday party, a friend invites you to a concert, your favourite store is having a sale. I encourage you to get creative with no-spend solutions, and have the discipline to say no, for your own financial benefit. 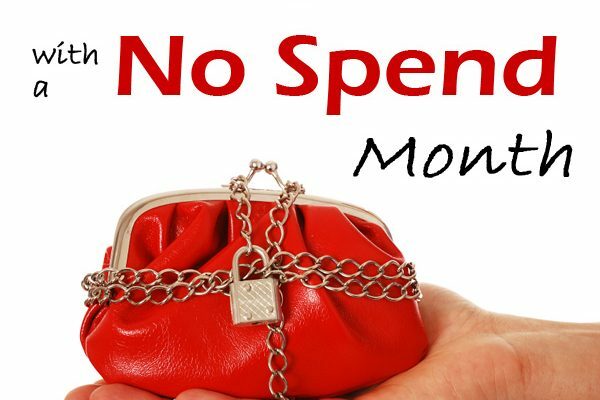 If you decide to take on the no spend month challenge, and then break your own rules due to temptation, you will probably be disappointed in yourself for failing. Cheating will only hurt yourself in the end. On the contrary, embrace the challenge as a positive experience that will get you out of your rut, and push you to have a creative and fun month, rather than one full of deprivation and boredom. Not only will you save significantly over the course of the month, it will be a learning experience to benefit you going forward. You will be able to see what you can live without, which things you never even missed, and how to adapt to a thriftier lifestyle. And the cherry on the top? A month of discipline to achieve a goal, combined with a boost of cash, will also provide a boost of self-confidence. You will be proud of yourself, as you should be, for working toward your own financial independence. One caveat: after your no spend month is over you cannot go out and buy all of the things you held off buying last month, or your work is all for not. Put your savings towards something important to you, then go forward with a spend-less mindset. Of course you will need to restock your groceries, and your daughter still needs a new pair of dance shoes etc, but be reasonable and don’t load up on the extras. 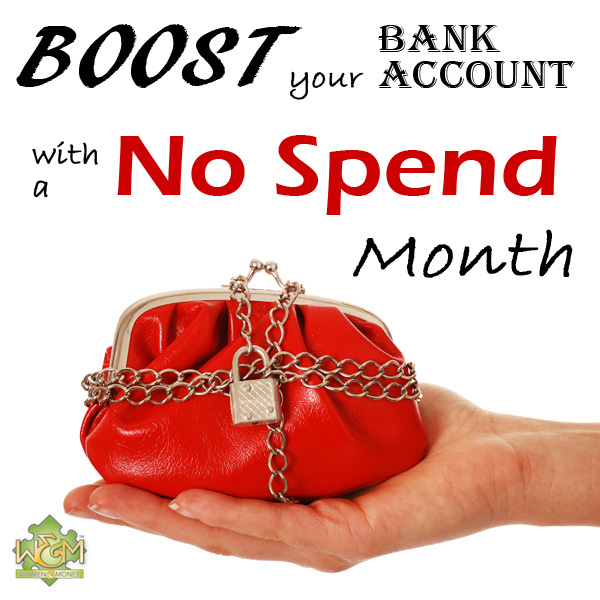 I hope you will consider doing a no spend month and see what it can do for your finances. If you do, be sure to let us know how you’re doing it and how it’s going in the comments below! Excellent. Please post more articles like this, thanks you.